Brew Deep Taste There are some tastes that single-serve and k-cup brewers cannot replicate. With the Zestkit Double Wall French Press, brewing frothy, bold dark coffee is just the beginning of bold, dynamic flavors from the source. Energize yourself with a classic homemade coffee brew or wind down with your favorite tea. PLASTIC-FREE: Made with high quality easy-to-clean food-grade stainless steel for durability that will last a lifetime. DOUBLE MESH: Keep coffee grounds and tea leaf residue out of your brewed beverage with the ultra-fine double mesh plunger. EASY TO USE: Simple, quiet and non-electric. Cozy up with the perfect brew at home or take it along to your next camping trip. ENJOY THE BEST: Brews 34-ounce servings, filling 8 coffee cups or 4 mugs. Enjoy fresh coffee with the company of a friend or two. Serve up to eight 4 oz cups of warm and relaxing tea with freshly steeped leaves and mixes of your favorite flavor. 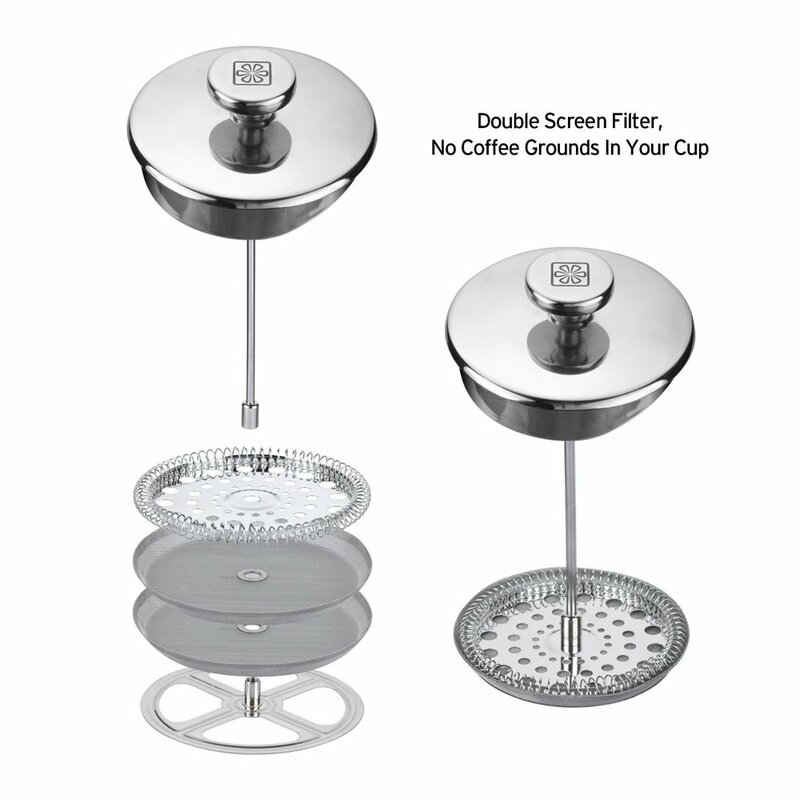 Whether used for coffee or tea, the double mesh plunger will strain without leaving any residual coffee grounds or tea leaves in your drinks. When not in use for warm beverage decadence, use the french press to froth milk, infuse oils, and strain ingredients. The french press is made with double wall stainless steel to better insulate and hold in the heat when brewing your beverages. 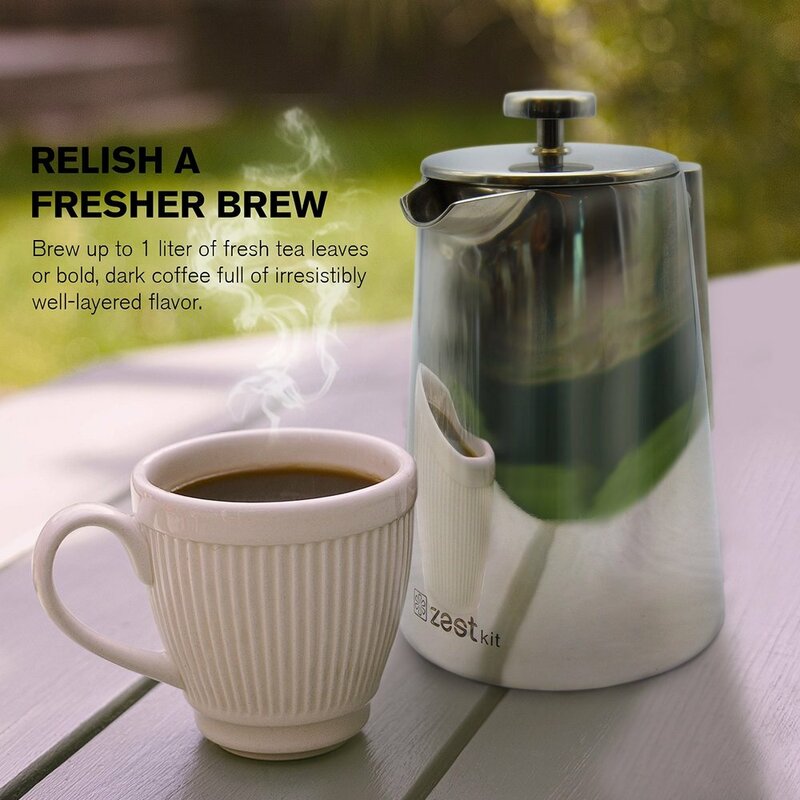 Its durable design makes it the perfect coffee companion for camping and outdoor recreation. It's easy to use and easy to clean. 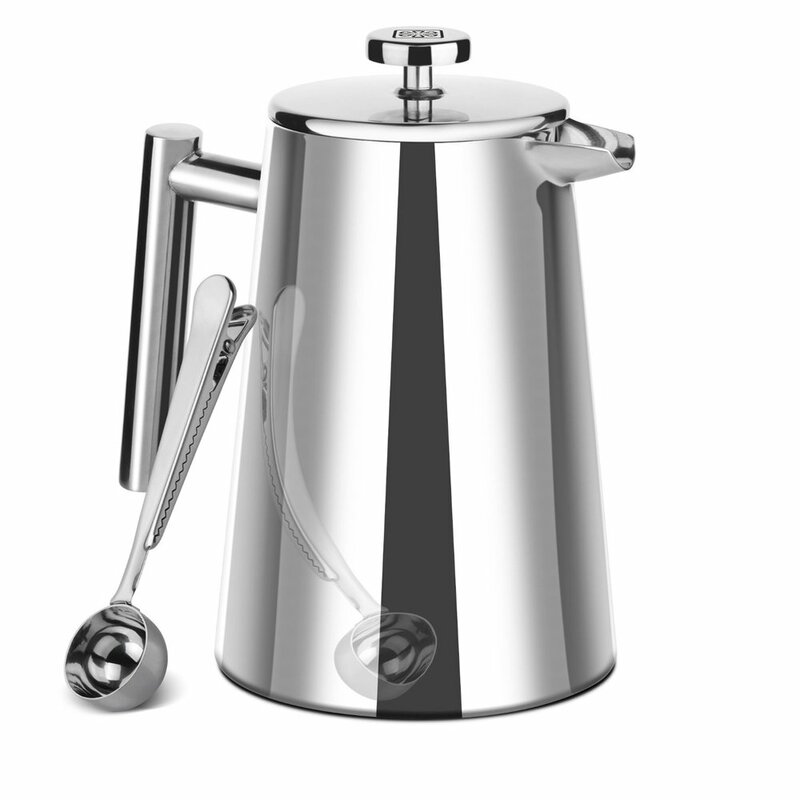 This french press will last a lifetime, providing you with your favorite flavors of coffee and tea brewed right.